Ethiojobs champions for a fair and level 'working' ground for women! Labor rights are firmly protected under the Ethiopian constitution specifically under Article 16 and 18, which prohibit inhuman treatment (such as slavery and servitude), Article 31 general freedom of association and more specifically Article 42 which goes into the details of getting employed in the country. These labor rights are further explored from a gender-balanced standpoint under article 35, which guarantees equality, in employment, promotion, pay and benefits such as maternity and prenatal leave with full pay. Despite all this, women have had to face numerous obstacles on a social level and/or a cultural one that often extend into their professional lives. 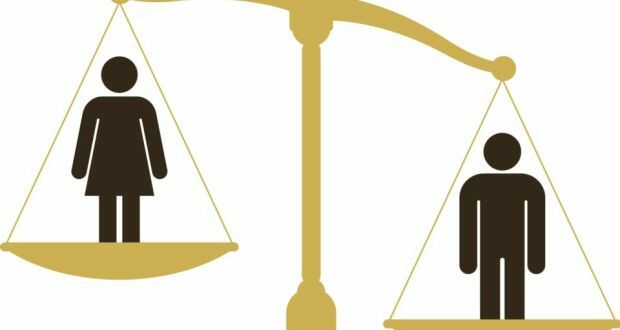 The issue of gender imbalance at the workplace does not stem from the law, or the lack thereof. Rather, it stems from a socio-cultural source. Traditionally, labor is divided in a manner that keeps women inside the vicinity of the house generally deterring them from gaining access to production resources like land and finances. This is especially predominant in the rural areas where women’s roles are reduced to doing just house chores and menial labor. These types of segregation in any society causes one of the genders (typically men) to hold jobs with greater material and financial rewards as opposed to the other. The lower wages earned by women ensures their dependence on men and therefore construct a system in which the men control most resources and women’s role even at the household level diminishing their representation in the labor market. This fact is truer for rural women but is also present in a nuanced version in the urban setting of Addis Ababa. While equal pay for equal work is practiced, due to these same social systems, women usually do not move up the corporate ladder and often only experience lateral mobility. This subtle and unfair dragging down of women in the work place is in addition to social prejudices and pressures in the family, social and personal dynamics. This can be further evidenced by the negative traditional sayings and popular phrases that support these backwards mentalities, and even blame women for going against the social systems that put them at a disadvantage. There are 166 common sayings in the Amharic language alone that belittle, insult and abuse women and their rights. These portray women as less competent than men, evil, vicious, vindictive, clumsy and created only to be mothers. The issues Ethiopian women face at the workplace are not as starkly contrasted or highlighted as those in the Western world; however, for a keen eye, they are not hard to identify. Hence, in the month of March, the Ethiojobs team will be releasing articles and content for women about women in the work place. The team will explore with our readers professional and aspiring professional women at the workplace, and the issues they face as women at the typical Ethiopian workplace.